These are delicious! I’ve made veggie burgers before that didn’t come out as tasty. Who knew pulp could actually taste better? I followed the recipe apart from swapping out half the flour for chickpea flour as I had it on hand. I was leery of that much garlic powder, but it’s not at all overpowering the flavors blended very well. Thanks for recipe and for saving my pulp! These were great! Made with pulp from a beet, carrot, orange, apple, lemon, and ginger juice. 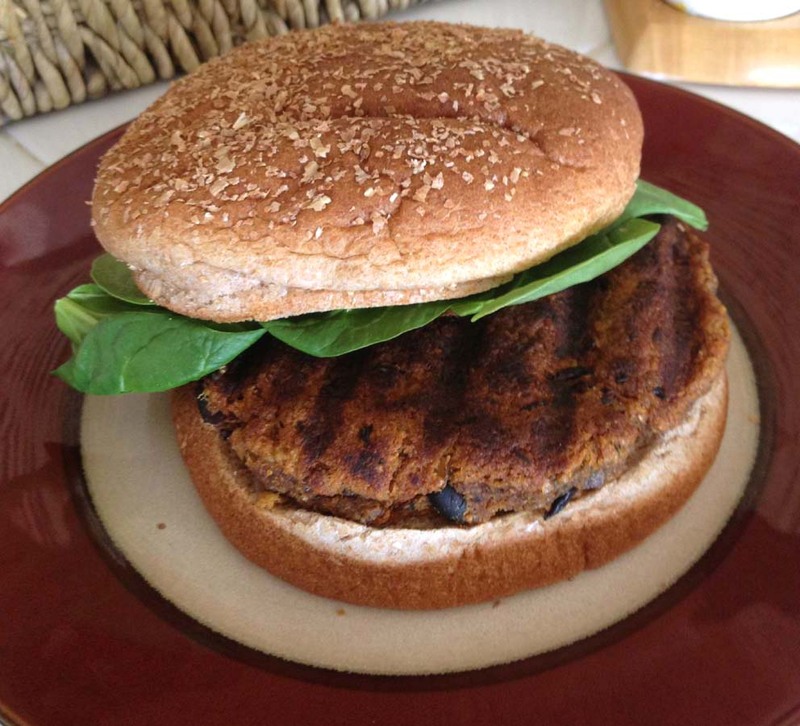 Best homemade veggie burger so far! So great to hear! That sounds like a great mix! Thanks so much for your comment! Reblogged this on For what It's Worth. Just made these, with variations. Yum! I used the recipe and added it to http://www.herbandplow.com blog with a pingback, commentary, and YUMMY! Just made these for the first time. They were delicious! I fried them in a skillet with a little olive oil. I was worried because they were very soft. Fried them for a good long while until they were dark and crispy. The inside was still very soft. It’s a keeper recipe! Just went to a juicing class last night and I got to take home the pulp. Cannot wait to try these!